There aren't enough food, service, value or atmosphere ratings for Albertos Espresso, Australia yet. Be one of the first to write a review! Excellent coffee and service.Great coffee and salads... short black espresso that would hold its own in my home town Melbourne. Such wonderful coffee and friendly service. Busy place.We had just had lunch but wished we had gone here first. Delicious smoothie, but I wish they hadn't given me a plastic cup to dine in! Dropped in for a morning coffee and was most satisfied with a perfect short black espresso that would hold its own in my home town Melbourne. Definitely will be a regular drop in for me when in Launceston. Consistent, courteous and professional service from all the Alberto's Espresso staff. Excellent coffee and healthy plus fresh lunchtime meal offerings. Highly recommended. 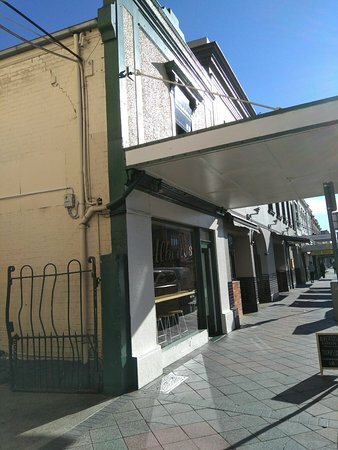 Cute little cafe tucked away in the Launceston CBD - Very clean fresh look - plenty of seating, great food and the service was excellent. A MUST VISIT coffee shop if your in Launceston. Excellent coffee and service. 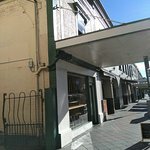 Best cafe in Launceston! Coffee strong food very reasonably priced. I enjoy this new spot old hairdressers salon hence the name as it opens really early 6.30ish. Girls always lovely fit out brilliant light and welcoming. They should do extremely well if they keep this level of service and quality up. Get quick answers from Albertos Espresso staff and past visitors.